It's a digital discount code, got by redeem 100 units. All account acceptable. 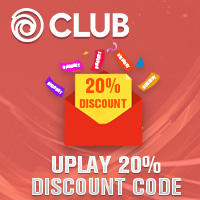 You can enjoy 20% off when purchasing VIDEO GAMES | DLC | COLLECTIBLES in Uplay store by using it. 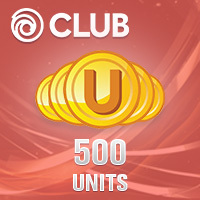 It is a virtual currency in Ubisoft Club, you can use Units to exchange discount code, unlock collectibles and Ubisoft Club rewards. 1. Q: Does it mean 20% off discount only available for buying one game? A: Of course not, you can add all the discount-available items into Shopping Cart, then pay them together to enjoy the discount on multiple items. 2. Q: Am I only able to use discount for once? Is there any limit on the discount code? A: No, there is no limit on discount using. But you can only use one discount code on one shopping cart. 3. Q: Is it possible to enjoy 20% off on discounted games? 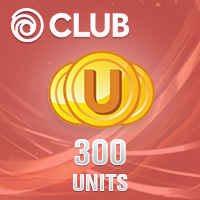 A: Yes, it is possible to plus 20% off if the game already discounted by Ubisoft to save more!